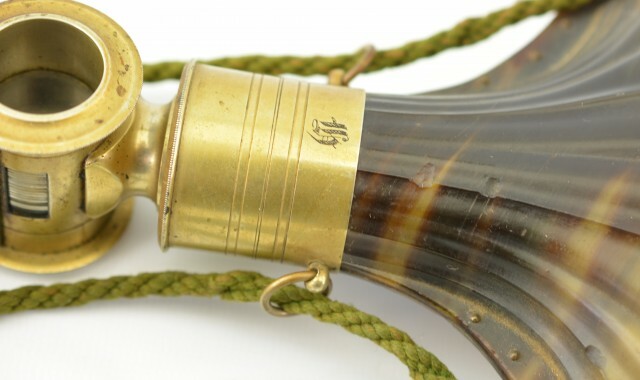 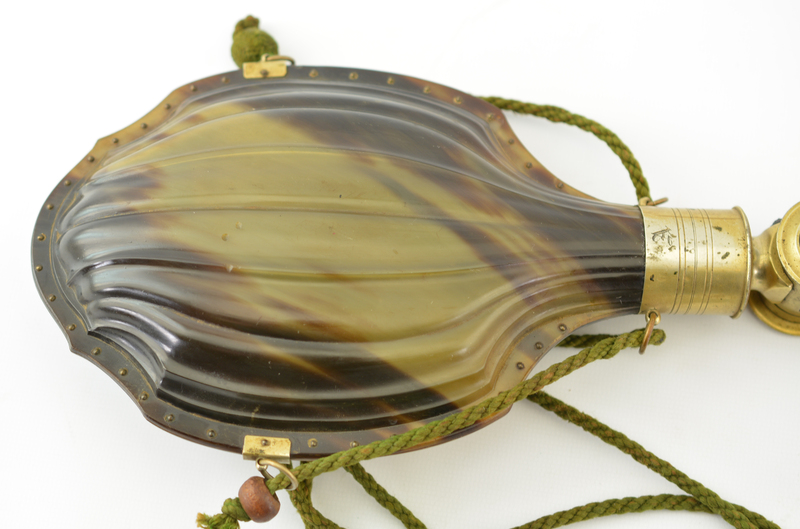 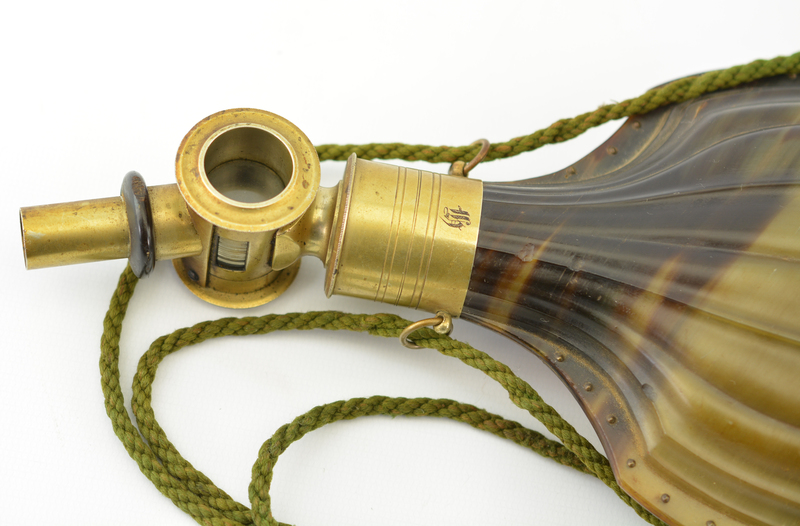 Description: A very fine Lanthorn horn flask with the brass base marked "12". The engraved letter on the neck appears to be an "A" with a second initial on the reverse side. 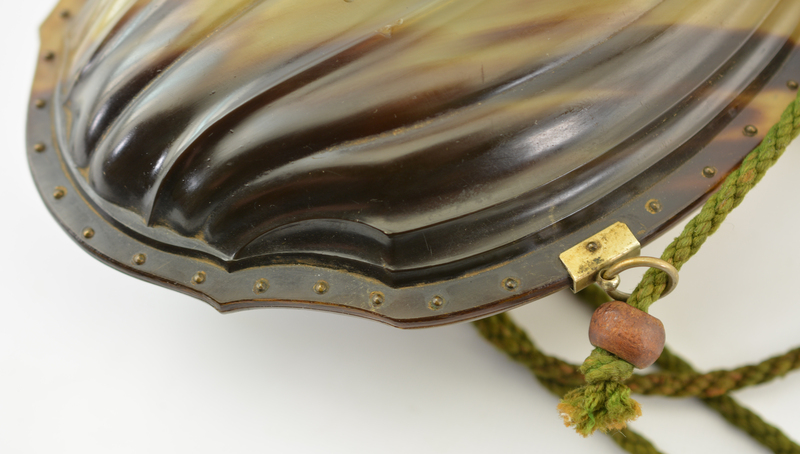 The panels of this horn were attached with small copper pins. 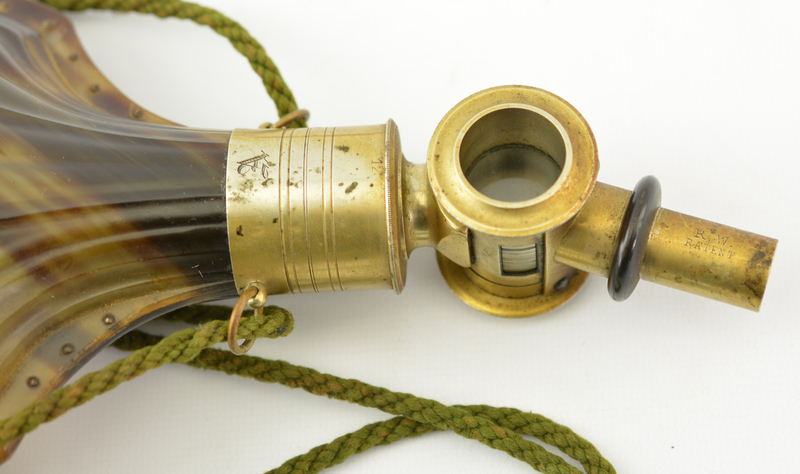 The pouring head is the Boche Patent in 1845 shown on Pg 152 of The Powder Flask Book" by Ray Riling. 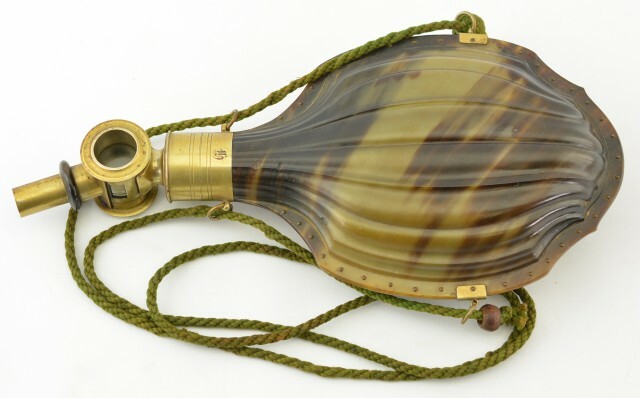 A very similar horn flask is number 1154 on pg 399 of the same. 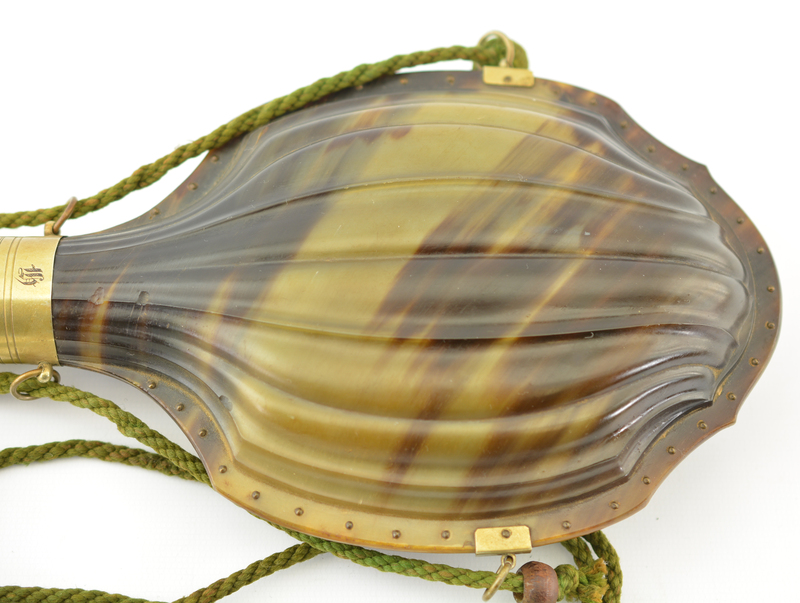 It adjusts on each side with a clear center window to expand your charge. 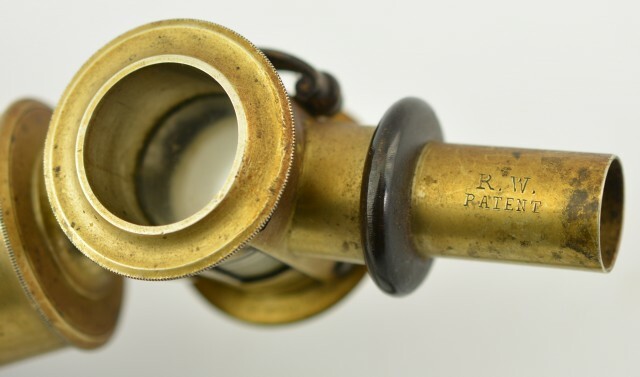 The pouring spout is marked "R.W./Patent" which I believe is for the spout alone. 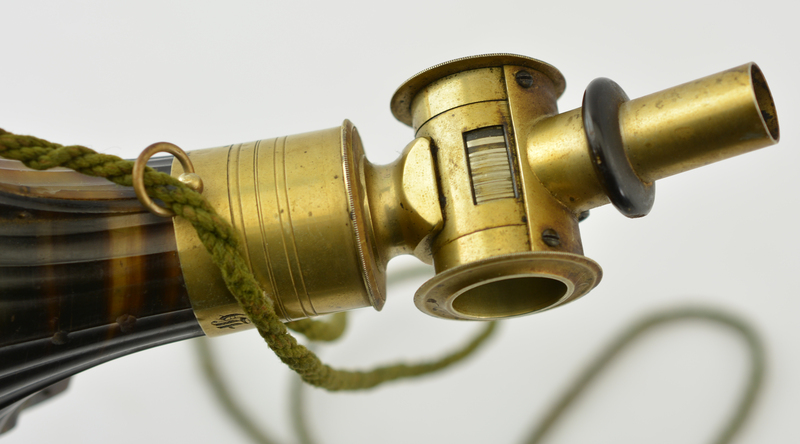 An old woven green carry cord is mounted in the 4 brass rings. 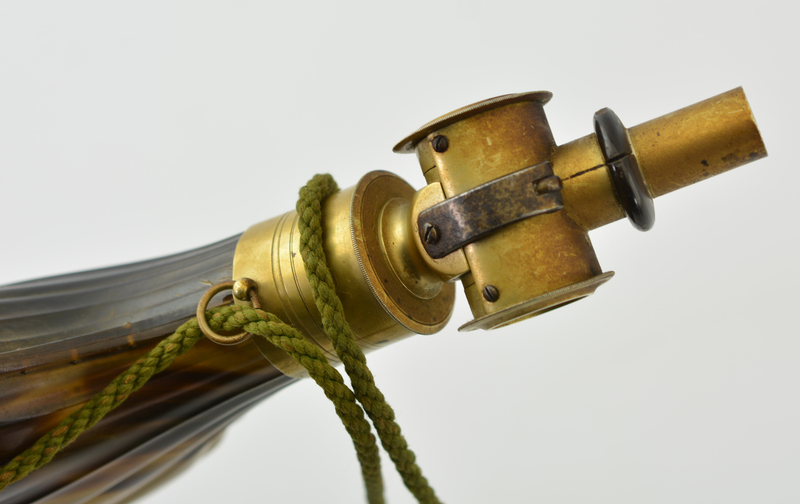 There are some minor nicks in the horn and a crack in the wooden ring on the spout. A super fine condition horn flask.